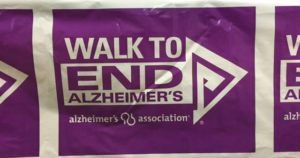 Regal Heights Healthcare & Rehabilitation Center, and Regency Healthcare & Rehabilitation Center: Raising money for the Alzheimer’s Association! This past Saturday evening, Christiana Care 6A Ace Unit (Acute Care of the Elderly) held its “Alzheimer’s Awareness Beef N’ Beer Benefit”. Represented by Susan, Melissa, Maryann, Nathalie, BJ, Regal Heights and Regency proudly participated with a generous donation of beautiful gift baskets. ← Breakfast Club At Regal Heights!